Prime Minister Benjamin Netanyahu used the opening of Sunday’s weekly cabinet meeting to again condemn acts of Jewish terrorism, but stressed that just as the scope of Jewish terrorism can in no way be compared to the much greater Palestinian terrorism, so too the reaction of Israeli society is completely different than that of the Palestinian Authority. 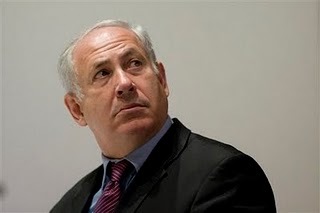 Netanyahu noted that in Israel there was widespread condemnation of the phenomenon of Jewish terrorism by the government, various institutions and leaders. “Here we condemn it, there they [the PA] praise it [terrorism],” he said. The prime minister said that he brought the video of Jewish extremists dancing at a wedding in Jerusalem with guns and knives, while glorifying the murder of the Dawabsha family, to a recent cabinet meeting to make clear that the group in the video was both extreme and on the fringes. Netanyahu once again also praised the Shin Bet (Israel Security Agency), which has come under criticism from some on the Right for its methods of interrogation of Jewish terrorism suspects. The Shin Bet is acting under the rule of law, under judicial oversight, and in complete concert with the government’s policy “to fight terrorism wherever it is,” he said. “We are not willing to accept terrorism or murder from any side,” he said.